Size: approx. 70-80 mm. Photo: 04/09/17. 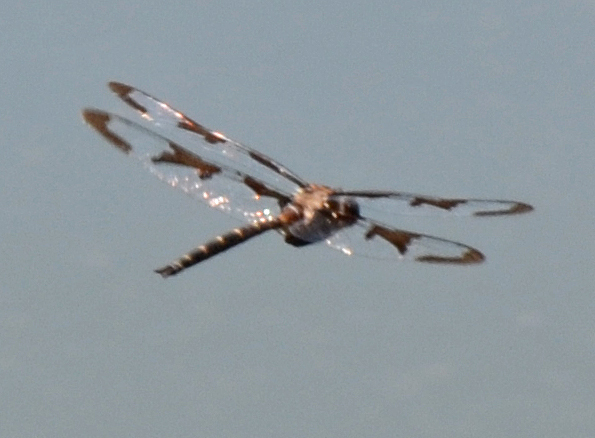 Not a very good photo but this large dragonfly was constantly flying over our little lake about 10-30' away from my dock. It was also pretty fast and fun too watch.